(a) No contract shall arise until you, via your travel agent or our direct reservations, ask for your booking to be confirmed. By asking us or your travel agent to confirm your booking, you are accepting these terms and conditions contained herein the “Terms and Conditions”. A booking is confirmed when your travel agent receives a booking reference number, via their computer system or when this number is given by our sales staff to you or your agent by phone. 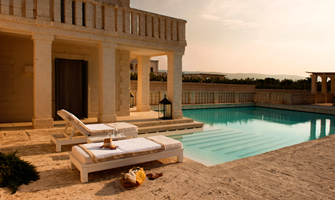 If you are booking on www.bestholidaysinitaly.com you will be provided with a booking reference number on-line. The terms of contract are contained solely in these Terms and Conditions; our Confirmation Invoice; our brochure or other descriptive material; the itinerary issued by the Organiser and the terms and conditions of any third party suppliers. All cancellations must be advised in writing (by e-mail) to Best Holidays in Italy prior to departure during normal Irish business hours (9:00 am to 5:00 pm GMT -> BST, Mondays through Fridays). ▸ Up to 4 weeks prior to departure, any deposit will be forfeited. The above mentioned conditions may vary in high season months according to the accommodation properties' cancellation policies. All cancellation charges apply to each person covered by a booking. (c) The Organiser requires a specific minimum number of bookings to operate a specific programme of holidays. The Organiser’s obligation to provide that programme shall be contingent upon the Organiser receiving and maintaining that number of bookings. 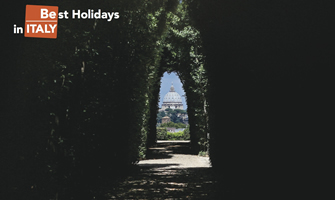 The minimum number of bookings required for all Best Holidays in Italy group tours is 8 persons. In the event that the Organiser does not receive the minimum number of bookings or having received such a minimum number, has that number reduced by reason of cancellation or transfers by Consumers or otherwise, the Organiser shall be entitled to cancel or curtail the relevant programme up to 4 weeks prior to the departure date and the Consumer shall not be entitled to make a claim for loss arising as a consequence of cancellation or curtailment in these circumstances. The Organiser shall notify the Consumer in writing within 7 days of any cancellation or curtailment necessitated by the foregoing circumstances. (d) If prior to the time of departure there is a cancellation, or a major change, such as a change of resort area, or a change of accommodation to a lower Best Holidays in Italy rating, or an alteration of the tour departure time of more than 18 hours, the organiser shall, if practical, offer an alternative comparable holiday of at least similar standard or shall refund the consumer all monies paid. Travel Insurance is not included and, should you not have one already, Best Holidays in Italy highly recommends you purchase one.